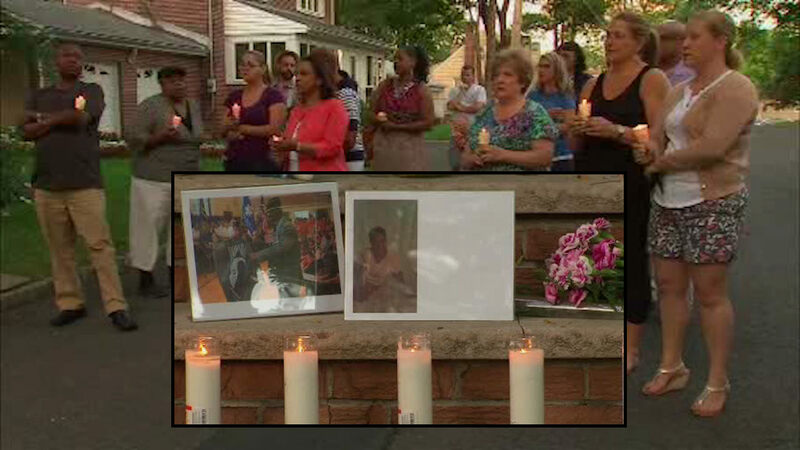 SPRINGFIELD, New Jersey (WABC) -- A vigil was held for a father and daughter murdered in their home in Springfield, New Jersey. Family and friends of Roth Brown, 51, and her father Thomas, 79, gathered Wednesday night to honor the two. Police found the bodies of the two victims in the Meckes Street home Monday afternoon. Roth Brown's son James, 27, was arrested. He is facing murder and weapons charges but so far, police have not released a motive for the killings. James Brown is being held in the Union County Jail on $2 million bail.